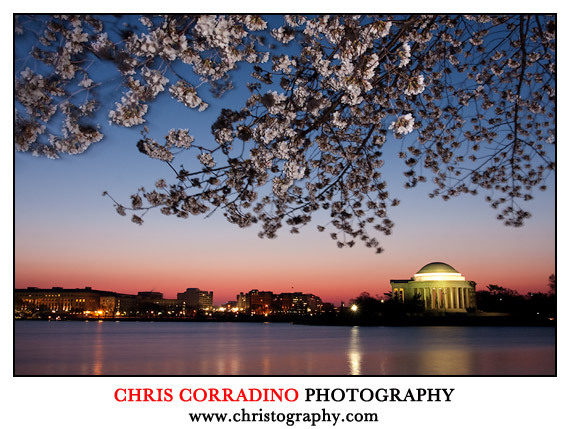 On Saturday April 5, 2014 Washington DC will be hopping with activity and I'll be holding a one day photo workshop for photographers of all skill levels. This includes five hours of field instruction with a shoot at sunrise and sunset, a wonderful lunch, and a portfolio review. The workshop is limited to five participants to ensure everyone receives personalized attention. I hope you can join us for a memorable day in our nation's capital. 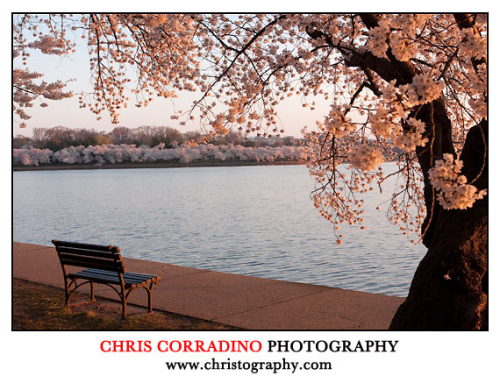 To take full advantage of the golden morning light, we will meet at 6am for a sunrise shoot around the beautiful Tidal Basin. There, we will create memorable photos of several historic monuments. In the afternoon, we will re-gather for lunch (included) and a portfolio review session in a comfortable lounge. You will receive in-depth feedback and helpful advice on your images, post-processing technique, and more. There is no guarantee that Cherry Blossoms will be blooming upon our arrival. Nevertheless, there is so much to see and photograph in this area. Hotel and Transportation are not included. It's recommended you book well in advance for the best rates. Upon registering, I will send an email with a few hotel options. If you must withdraw from the workshop more than 60 days before the starting date (April 5, 2014), your payment will be refunded in full. If you must withdraw 31 to 60 days before April 5, 2014, 25% of your total payment will be forfeited. If you withdraw 30 days or less before April 6, 2014, 100% of your total fee will be forfeited. While unlikely, I reserve the right to cancel a photo workshop for any reason. If an event is cancelled, 100% of your payment will be refunded.